It only takes one defective component to potentially damage intricate manufacturing equipment or to produce damaged products that can’t be shipped to customers and clients. Quality components is a top priority for all manufacturers, especially for those in the semiconductor and chemical manufacturing industries. Normally, your company institutes a number of quality control processes to ensure all components are fully functional when the business first gets up and running. Yet, when the time comes to expand operations, you may move the component manufacturing processes to outsourced component manufacturers who can provide the professional engineers, materials, delivery and pricing that aligns to your budget and timeline. Since they are creating the components, they should have the quality control and delivery processes in place to make sure only high quality parts leave their factory and reach your doorstep in time. Unfortunately, this scenario isn’t always the case. Our new case study dives into this very problem that one manufacturer ran into when using a third-party component manufacturer. We spoke with one of our chemical manufacturing clients who was going through operational growth and wanted to expand their capabilities to include a new specialty chemical products line for their customers. 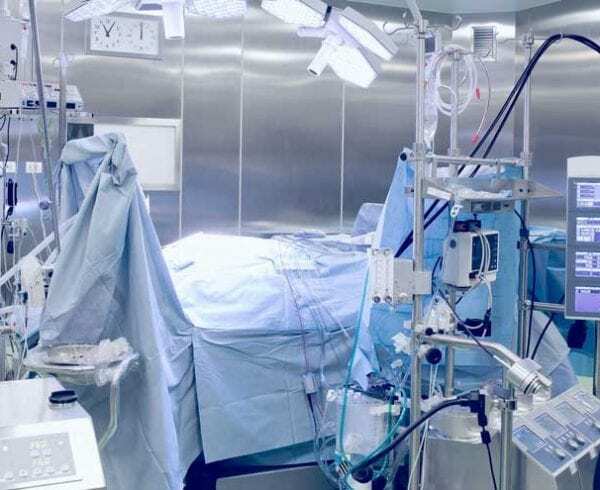 They required gas delivery systems made to exacting specifications and production requirements while being cost-effective and meeting budgets. However, problems arose for this client as they experienced quality control bottlenecks and delivery issues. They shared with us the types of manufacturing goals they were pursuing, what happened when they sought out certain component manufacturing processes, and the resulting issues that impacted their operations. Then they shared with us the key benefits they gained when leaving behind the other third-party component manufacturers and making the switch to Axenics’ complex assembly solutions. 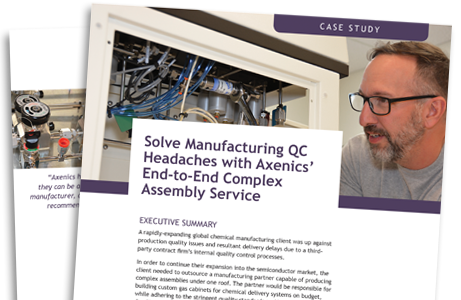 Our case study, “Solving QC Headaches with Axenics’ End-to-End Assembly Services,” is now available as a free download. If you have ever considered expanding your operations and are in need of customized components and complex assembly solutions, this vital resource can help you understand some of the issues you may encounter with quality control processes and product delivery from various third-party component manufacturing companies. 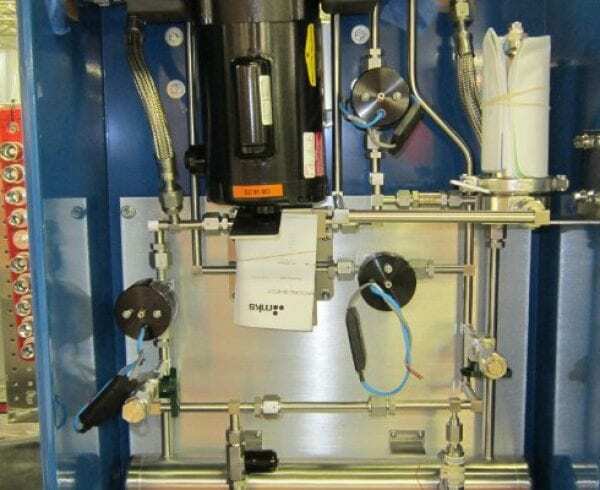 You can also learn about what the manufacturer had to do to produce more stable quality control processes on a short-term basis, and the long-term solutions that the chemical manufacturer put into place by forming a partnership with Axenics to obtain complex assembly work. The link below will take you to the landing page to download this free case study. You will be able to use the resource material to inform your own operations and how to prepare yourself when facing issues where components are not up to specifications or quality. Find out from an actual Axenics’ client about the advantages that they were able to gain when working with our company. Learn about some of the issues you may encounter with quality control processes from various third-party component manufacturing companies.